Betsy West and Julie Cohen’s new documentary RBG—an effusive celebration of the life and career of Supreme Court Justice/feminist hero/meme Ruth Bader Ginsberg—made its debut on digital services via FandangoNOW earlier this week, ahead of its Blu-ray and DVD release on August 28. To commemorate the occasion, we’re teaming up with the film’s distributor, Magnolia Home Entertainment, for a little prize pack giveaway of Ginsberg swag. If you want a chance at winning the package, all you have to do is send an email with your mailing address (no P.O. 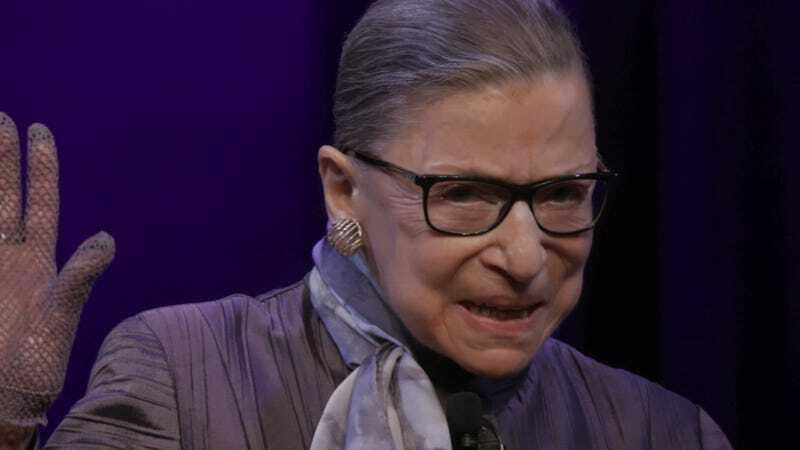 boxes, please) to the subject line “Ruth Bader Grab-bag” to avcontests@theonion.com. (U.S. entrants only, please; you Canadian Supreme Court fetishists are sadly out of luck.) We’ll randomly draw three names on Monday, August 13, and inform winners via email.